how does it meet "poor condition" then? how does it meet "poor condition"? lol ¿ pre-worn ? How is Tiago? Well done Sam - and Mr Leunig of course. I guess thats why they sell pre-worn jeans. 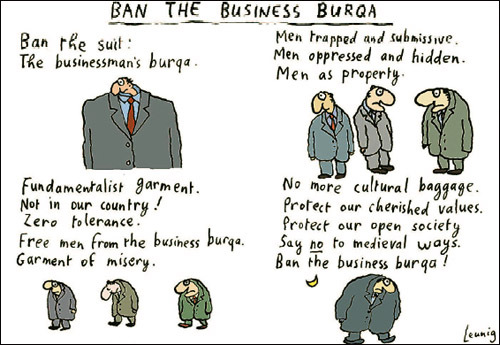 Maybe it will catch on to business burgas. We do need a coat and we do need pants - but why look like them when we can look like 'us'. The antiestablishment movement could in itself one day spark antidisestablishmentarianism. Huh! ?